This is from our marriage blog – Purposeful Marriage – we are doing a series on our own marriage as we prepare to head to Poland. Check out our website, we would love your help. 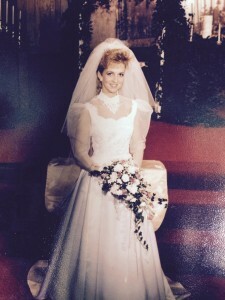 As Missy and I prepare to go to Poland this summer to present our marriage seminar, I thought I would tell the story of how I met the former Miss Melissa Schiel. I used to to umpire baseball professionally and spent three years in the Texas League, a double A league which included Midland, Texas on its circuit. Missy was 19 years old in 1988, and incredibly beautiful, almost as much as she is today. I was scheduled for a series in this town and I did not get along very well with their team. There is always a team that has a problem with a certain umpire or an umpire with a certain team; This was a case for both. My crew and me drove into town early that morning around 8:00 am. In Double A you drive cars for your travel and in the Texas League we drove a LONG way. That trip had us leaving Shreveport, Louisiana around midnight which had us arriving early that morning. I met a friend of one of my partners who worked at the hotel we stayed in and made an innocent comment to her, “If you have any friends as cute as you, I would like to meet her”. What turned out to be a throwaway statement became the best thing I ever said in my life. Lisa (the friends name) said, “Yes I do”. I was hoping she would forget. Lisa brought Melissa to the game that night and as fate would have it I was working the plate (the umpire behind home plate, we rotated each night). The game was long and went down to the wire. With runners on second and third, two outs and the home down by two runs, I called out the batter from Midland, C.L. Penigar. I will never forget him. He went crazy and so did the manager of the Midland team, Max Oliveros, my nemesis. We had to walk through the picnic area to get to our dressing room. Our dressing room was on the opposite side of the same building as the Midland team. So we walked “together” to get off the field and as we were walking off I was on the end of many taunts and insults, I was giving as good as I was getting. I had no idea that my future bride was waiting for me in that picnic area. As I turned around after uttering a rather profane retort, there was Missy. Her and Lisa were oblivious to the insults being hurled at me, Lisa introduced Missy to me. I extended my hand and calmly said, “Hi Todd Freese, nice to meet you” and headed into the locker room. Missy was less than impressed and suggested to Lisa she could do better and promptly left. However, that was not the end. More next time, until then, peace. PREVIOUS POST ← He is Risen!